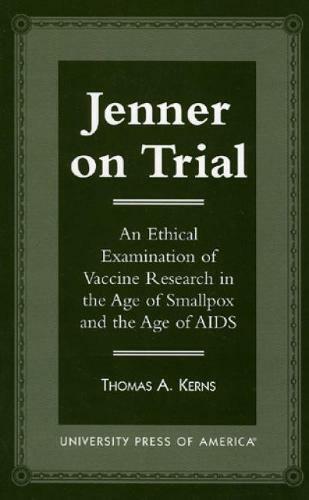 This book examines how an Ethics Review Committee using today's ethical standards as articulated in The Nuremburg Code, and the WHO/CIOMS International Ethical Guidelines for Biomedical Research Involving Human Subjects, might assess the scientific and ethical design of Edward Jenner's first experimental vaccine experiment. It explores the potential risks and benefits to young James, the adequacy of the preliminary evidence that Jenner used to justify performing his experiment, and how he might have complied with requirements for informed consent. In addition to its historical interest for 18th century England and for the origins of today's biomedical research ethics standards, the book is significant as a case study in the ethics of basic vaccine research. It thus raises relevant questions about today's vaccine research, particularly relating to HIV.